The next regional coalition meeting is Thursday February 14th at 10:30 am. The meeting will be held via our Ring Central conference call system. We continue to work on scheduling Basic Disaster Life Support (BDLS), Advanced Disaster Life Support (ADLS), and Certified Hospital Emergency Coordinators (CHEC) courses. We have tentatively scheduled the BDLS course April 3, 2019, the ADLS course April 4 -5, 2019, and the Basic and Advanced CHEC course May 22-24, 2019. Once the dates and locations are confirmed, we will update our Events calendar located on our website. Please check back often for this and all of our educational offerings. Wow! Our website has reached over 1,900 viewers. Let’s keep it going by informing anyone who has an interest in the Northwest Region Coalition and the information we provide. Click here to access our website. Don’t forget to visit the Events calendar as we add several training events without announcing them in the weekly updates. We have developed a one page understanding of the regional coalition that can be shared between coalition partners. Please click here to view the regional “one-pager”. To view the weekly report, click here. This link will be provided each week until we are no longer in flu season for the 2018-2019 reporting period. To view the map of the US for the influenza summary, click here. The 2019 Public Health and Healthcare Preparedness Academy will be held on March 19-21,2019 at the Founders Inn in Virginia Beach. The theme this year for the Academy is Responding to 21st Century Emerging Threats. Please click here for the flyer. The Northwest Region will reimburse attendees who are employed by the partners located within the region. For additional information, please contact Matt Cronin, Exercise and Training Specialist, Northwest Region Healthcare Coalition. The Founders Inn has started accepting reservations for rooms. The link to book a room can be found here. You may also call 757-366-5700 to book reservations under this group. The Founders Inn and Spa is officially a Hilton Hotel! Our new name is The Founders Inn and Spa, Tapestry Collection by Hilton. If you are Hilton Honors members you can use your Hilton Honors Points to stay at the hotel. If you are not a member, you can join here. The Virginia Department of Health has released its latest Healthcare-Associated Infections and Antimicrobial Resistance (HAI/AR) Program newsletter. This issue includes a description of recent updates to Virginia reporting requirements, information about Candida auris, updates on flu surveillance in Virginia, and more! To view review the newsletter, click here. On January 29, from 1:00-2:00 PM (ET), public and private partners will share how to use ASPR’s Healthcare and Public Health Risk Identification and Site Criticality (RISC) Toolkit, version 1.0. Developed with the input of a team of HPH Sector partners and risk management subject matter experts, the RISC Toolkit is designed to help Sector owners and operators identify risks in an easy-to-follow format using objective national-level data. Learn more about this objective, data-driven, all-hazards risk assessment tool with the potential to inform emergency preparedness planning, risk management activities, and resource investments. After providing a brief description of the tool, speakers will discuss how they have implemented the RISC toolkit and share success stories and lessons learned. Attendees will have a chance to ask questions. Check out this flyer for additional information. Space is limited; apply today! The Democratic Republic of the Congo (DRC) Ministry of Health, World Health Organization (WHO), and additional partners continue to monitor and respond to the ongoing Ebola virus disease (EVD) outbreak. Response efforts and priorities include enhanced surveillance across borders, contact tracing, infection prevention and control, vaccination, clinical management of patients, and other preparedness activities. Awardees must take care to ensure readiness of their frontline and assessment hospitals, EMS, Ebola Treatment Centers (ETC), and regional facilities. All health care facilities should be made aware of the outbreak and should conduct appropriate travel histories on all patients. Every health care facility must be capable of rapidly identifying, isolating, and stabilizing a patient under investigation (PUI), while maintaining patient and health care worker safety. Health Departments should ensure that all health care facilities know their role within the response, and that the facilities know who to contact to coordinate PUI transfer to an assessment hospital and/or treatment center. The National Ebola Training and Education Center (NETEC) published an article, “Patients Under Investigation for Ebola Virus Disease (EVD) 101: Identify, Isolate, and Inform” to help health care workers stop the spread of infection and proactively manage patients. Visit the article to learn more. Please also visit the NETEC’s website and ASPR TRACIE’s Topic Collection: VHF/Ebola for additional information and resources. The Northwest Region Healthcare Coalition budgeted to send two (2) people to this year’s Summit. If interested, please contact Ron Clinedinst so that we may submit the proper paperwork to VHHA/VDH. It must be submitted by February 18, 2019. The 2019 Preparedness Summit hosted by NACCHO is scheduled for March 26-29, 2019, in St. Louis, Missouri. The theme of this year’s event is “Preparedness Summit 2019: The Evolving Threat Environment”. Early bird registration rates are available on the summit’s website until February 8, 2019. The annual preparedness summit is a required cooperative agreement activity. The use of HPP and PHEP funds to cover the travel expenses of HPP and PHEP staff attending this meeting is an allowable expense. 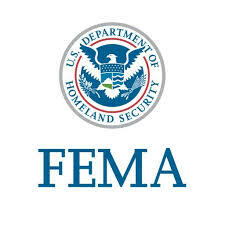 Please find attached the 2019 Preparedness Summit Recipient Travel Letter. The annual HPP-PHEP recipient meeting will be held at 9:00 AM ET on Monday, March 25, 2019, the day before the summit opens. The agenda for the daylong meeting is still under development. This Security Readiness Assessment Tool from NJHA Emergency Management can be used by health care facility security staff to develop or update existing security plans. 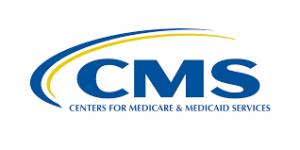 It was updated in 2018 and includes general guidance for three types of facilities: acute care, long-term care, and Federally Qualified Health Centers. This resource can be found in the ASPR TRACIE Workplace Violence Topic Collection. Influenza activity in the United States is increasing and is expected to continue at elevated levels for several more weeks. Influenza A(H1N1) pdm09 viruses have been most common this season; influenza A(H3N2) and influenza B viruses are also circulating. In the southeastern part of the country, influenza A(H3N2) viruses have been most commonly reported this season. Annual influenza vaccination is recommended for all people 6 months and older and is the best way to prevent influenza and its potentially serious complications. Available evidence consistently indicates that antiviral treatment initiated as early as possible can be a useful second line of defense to treat influenza illness when indicated and can reduce severe outcomes of influenza. During this COCA Call, clinicians will learn about 2018 –2019 influenza activity and hear an overview of CDC’s recommendations for health care providers regarding influenza vaccination and the use of influenza antiviral medications for the 2018-2019 influenza season, including a new antiviral medication approved by the FDA in October 2018. If you are unable to attend this live COCA Call, it will be available on demand and free continuing education (CE) will still be available. Just click on the link to the call page above and the webinar will be available to view under the “Call Materials” tab a few days after the call takes place. To view the background, recommendations with a Treatment Decision Tree, and references, please click here. Times: 8:00 a.m. to 5:00 p.m. The purpose of this course is to build local capacity for damage assessment by enabling you to develop or refine a damage assessment program for your community. In this course, you will acquire the knowledge and skills needed to be able to conduct efficient and effective damage assessments in order to save lives, protect property and the environment, and to begin the process of recovery and mitigation. Click here to view the Course Announcement Flyer and for details, prerequisites, and registration details. Deadline to register is February 22, 2019. This 1 day course is designed to enable the direction of emergency response personnel and resources to the most appropriate areas and help identify the need for additional resources during an emergency or disaster. Target Audience: This course is for state and local officials who are responsible for assessing, collecting, and reporting damages during and after any event that causes damage of private, public, and critical infrastructure. Henrico County Division of Fire and Grant Writing USA will present a two-day grants workshop in Henrico, April 18-19, 2019. In this class you’ll learn how to find grants and write winning grant proposals. This training is applicable to grant seekers across all disciplines. Multi-enrollment discounts and discounts for Grant Writing USA returning alumni are available. Tuition payment is not required at the time of enrollment. Tuition is $455 and includes everything: two days of terrific instruction, workbook, and access to our Alumni Forum that’s packed full of tools, helpful discussions and more than 200 sample grant proposals. More information including learning objectives, class location, graduate testimonials and online registration can be found here. We are pleased to announce that the Northwest Region Healthcare Coalition has begun receiving requests to sign a Memorandum of Understanding (MOU) between the coalition and non-hospital facilities. The MOU is designed for healthcare facilities that are not classified as an Acute Care or Critical Access hospital, and it is good for five (5) years before it will need to be renewed. If your your organizations resides with the Northwest Region and has not signed the MOU, you can contact either the Regional Coordinator or the Medically Vulnerable Populations Coordinator to find out more details. We are expanding our outreach to healthcare agencies within the region as a way of offering assistance to you and your organization. We ask for everyone’s help to spread the word by talking with your colleagues about the Northwest Region Healthcare Coalition. You can contact us by clicking the Contact Us tab on our website. To address these and other threats, 2019 sees the start of the World Health Organization’s new 5-year strategic plan – the 13th General Programme of Work. This plan focuses on a triple billion target: ensuring 1 billion more people benefit from access to universal health coverage, 1 billion more people are protected from health emergencies and 1 billion more people enjoy better health and well-being. Reaching this goal will require addressing the threats to health from a variety of angles. To view the 10 issues that will demand attention from WHO and health partners in 2019, click here. Alaskan officials have upped their tally of individuals likely affected in a June 2018 data breach at the state’s health department from 501 victims to 700,000, HealthcareInfoSecurity reports. 2. 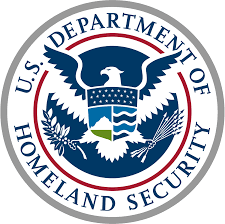 During the breach, a trojan virus had infected one of the department’s computers. The breached computer contained documents including information on residents’ pregnancy status, incarceration status, Medicaid/Medicare billing codes, criminal justice history, health billing, Social Security numbers, driver’s license numbers, first and last names, birthdates, phone numbers, and other confidential data, according to a statement DHSS issued in June. 3. In June, the department acknowledged that the breach may have affected 500,000 to 700,000 individuals, but reported the victim tally as 501 because it could not confirm actual figures. 4. 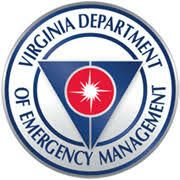 The department began mailing notification letters to the additional individuals Jan. 22. 5. In response to the breach, DHSS has enhanced its security protocols and policies to ensure all department devices are equipped with the most up-to-date virus protection software. About 60 percent of last year’s healthcare data breaches involved email phishing, according to data cited by HealthcareInfoSecurity. To mitigate this threat in the future, the publication outlined a number of preventive steps healthcare organizations can take. Public health officials in southwest Washington, just across the Columbia River from Portland, said people may have been exposed to the dangerous disease at more than three dozen locations, including Portland International Airport, a Portland Trail Blazers basketball game, an Amazon Locker location and stores such as Costco and Ikea. Twenty-six of the confirmed patients had not been vaccinated against measles, and the vaccination status of four others who were infected is unknown, officials said Friday. One child has been hospitalized. Authorities say nine additional cases are suspected. One case also was confirmed in King County, Wash., which is home to Seattle, and another in Multnomah County, Ore., which is home to Portland. Most of the cases involved children younger than 10, the Clark County Public Health Department in Washington said in a statement. One adult was infected, and the rest were teenagers. Oregon officials didn’t provide the age of the adult infected there. Washington Gov. Jay Inslee, a Democrat, declared a statewide public health emergency on Friday. Authorities in neighboring Oregon and Idaho have issued warnings. To read from the new article, please click here.